Tim Jasinski spotted a number of warbler species in the ravine behind the center, a good start toward the total of 12 warbler species for the evening. The resident Barred Owls called and sat obligingly where all could have a great view. 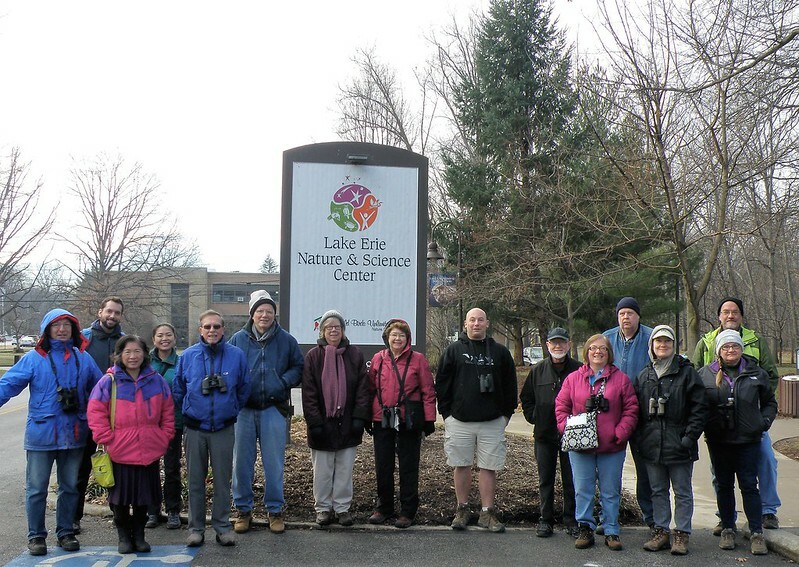 Gray Catbirds and brilliant orange and black Baltimore Orioles sang at many locations. We continued from Lake Erie Nature and Science Center to Huntington Beach where we observed several Gulls and Hawks. We didn't have many duck species, as Lake Erie is still frozen close to shore and open water was far beyond our reach. Gull species included Ring-billed Gulls, Herring Gulls, and Great Black-backed Gulls. 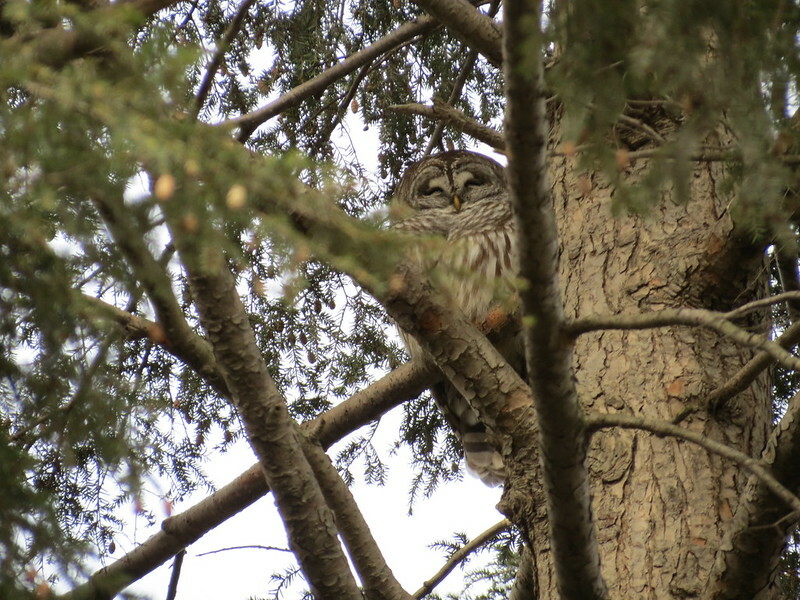 Barred Owls have nested next to Lake Erie Nature and Science Center for some years now, and the female of the pair sat quietly in the favorite tree on the edge of the ravine by Porter Creek.